I am overjoyed to announce that I will be singing at this fantastic 1940’s railway event this year! Having not been to this particular event before, I am excited to see all the sites and sounds myself. 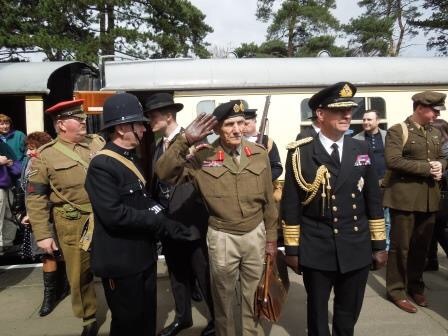 Wartime in the Cotswolds starts at Cheltenham Racecourse station…and luckily for you, that is where I will be starting my singing sets! 9.30, 10.30 and 11.30 at Cheltenham Racecourse. 1.30 and 2.30 at Gotherington. Photo from the GWSR website. Posted in Events and Performances and tagged 40's railway events, 40's singer, cotswold wartime railway, gwsr ww2 weekend, kitten von mew, wartime in the cotswolds. Bookmark the permalink.